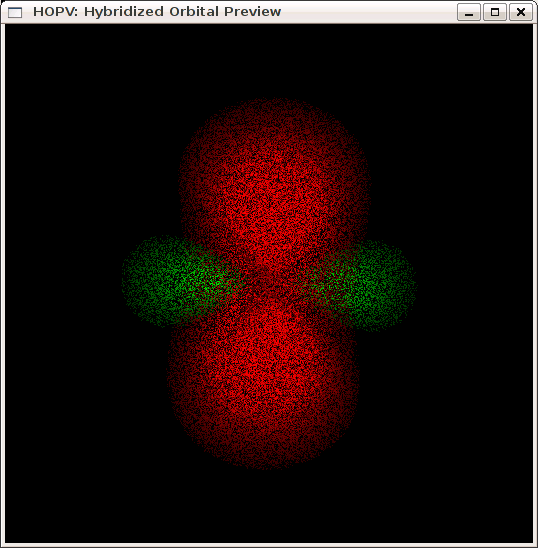 v0.17, source code: tarball (10KB) and ZIP (12KB). 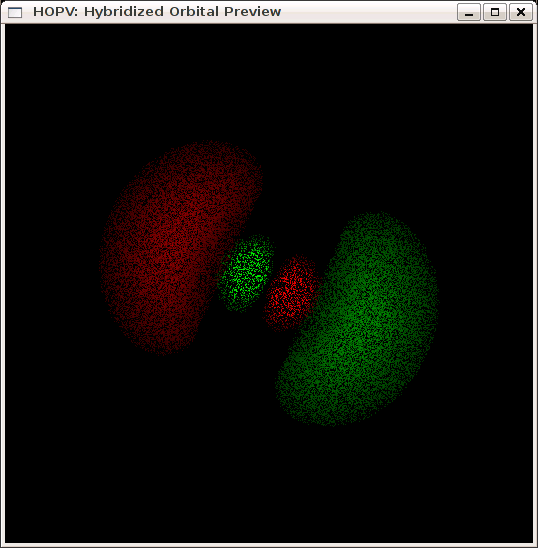 Most valuable resource (the source for most wavefunctions used) is Orbitron; huge thanks to Dr. Mark Winter for this great resource! 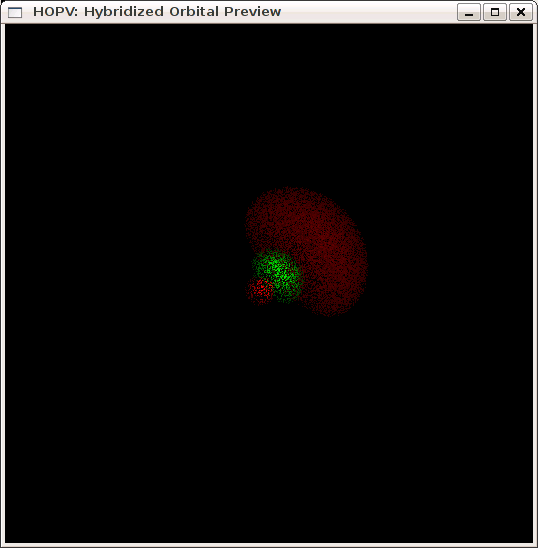 Adding more orbitals is easy as long as their equations are in Orbitron or anywhere else. 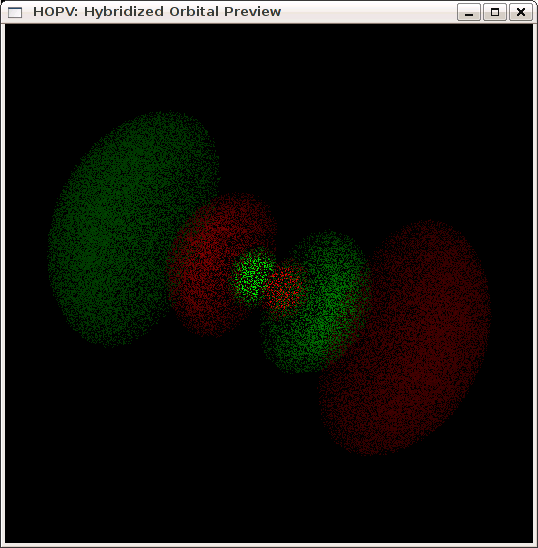 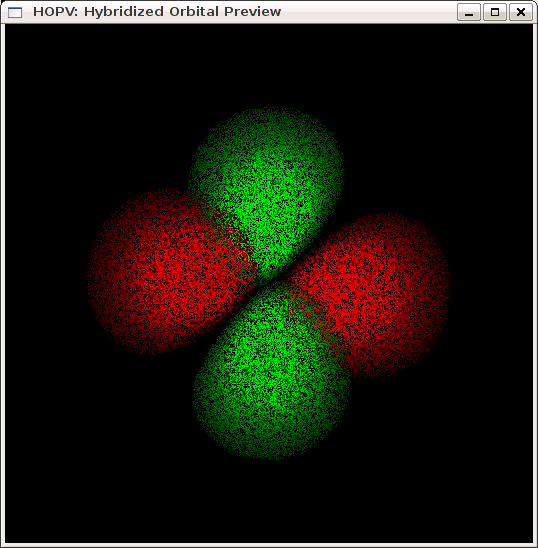 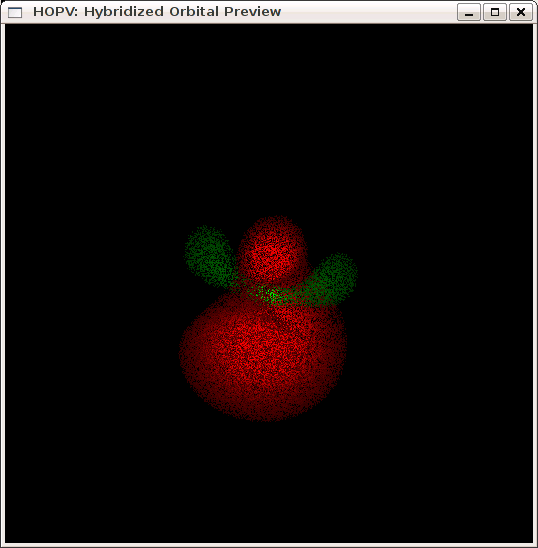 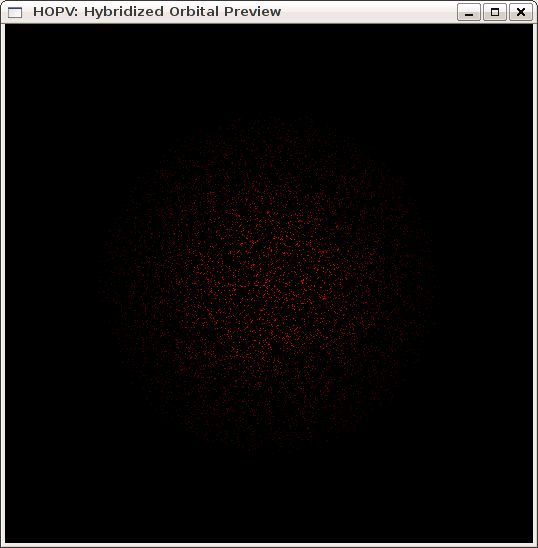 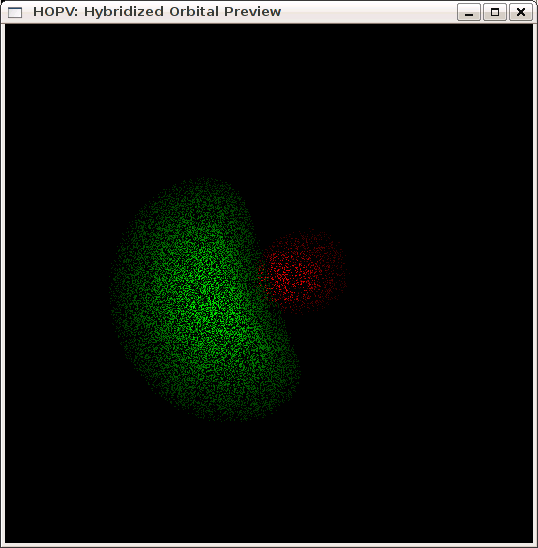 I am now trying to enable showing all hybridized orbitals together (e.g. 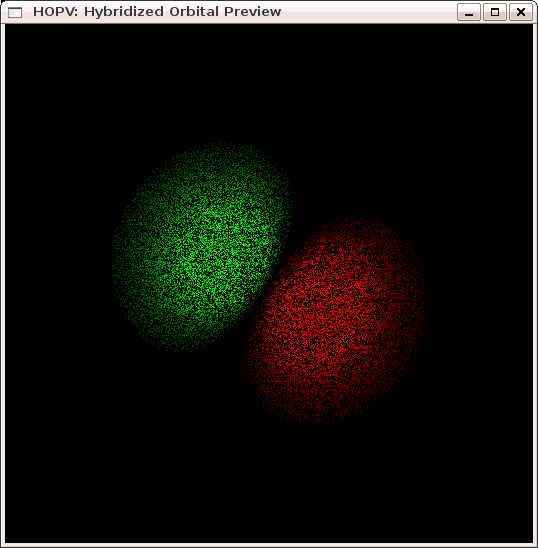 sp1 and sp2 in same scene), so that it would show the arrangement in a more visual way.